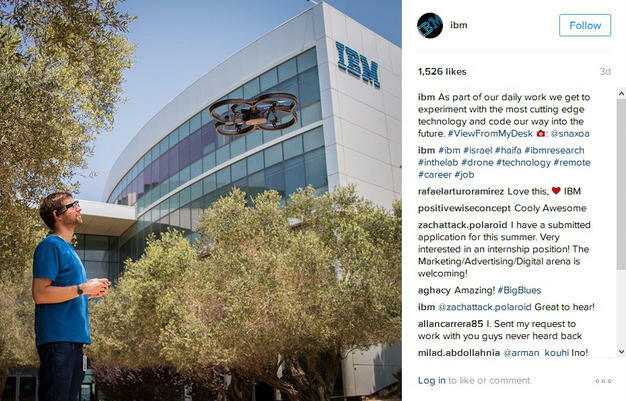 Don’t think your B2B company should be on Instagram? Selfies, puppies, landscapes, and coffee are the clear breadwinners on Instagram. They provide and easy formula on how to market to the average customer via social media. B2C (business-to-consumer) Instagram marketing has proven to be very successful on Instagram. 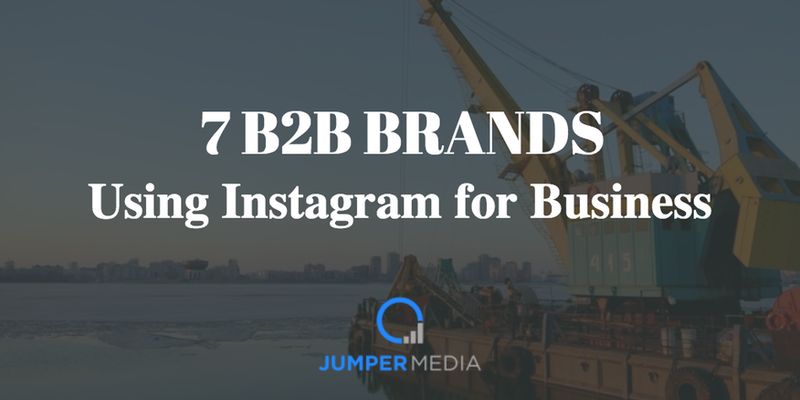 B2B (business-to-business) companies, however, should not overlook their company’s Insta. Just because they might be selling a boring product (I’m looking at you, Oracle), doesn’t mean their brand has to put you to sleep. The following B2B companies are doing it right. 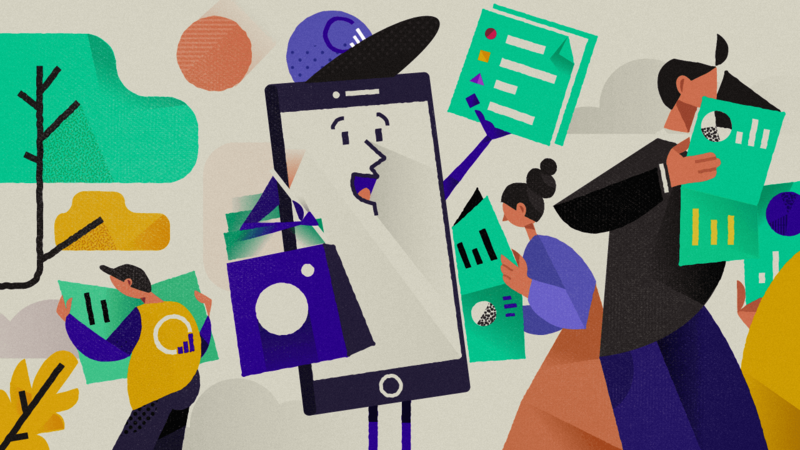 They post quality content — pictures of their employees, customers, products, events, and then some — that tells an interesting story about their business and why someone might want to use their products, or even join their team. 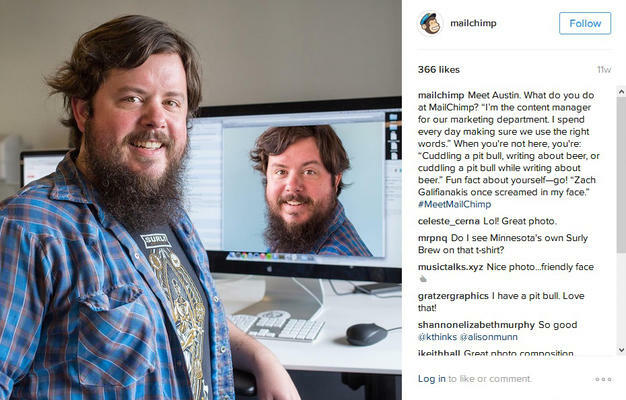 MailChimp uses Instagram to showcase the entertaining people behind their brand. 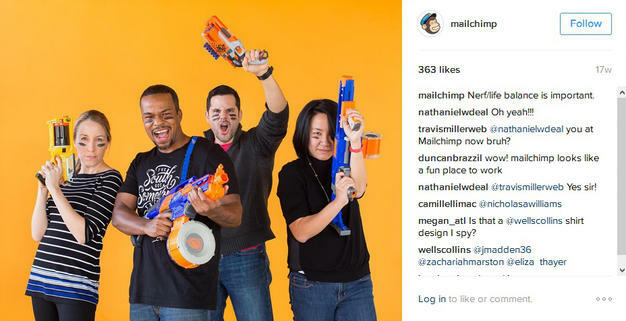 Employee spotlights with funny quotes make the individuals appear truly genuine, while silly staff photos give followers the feeling this company is extremely relatable. Bonus points if you bring a Nerf gun to this job interview. 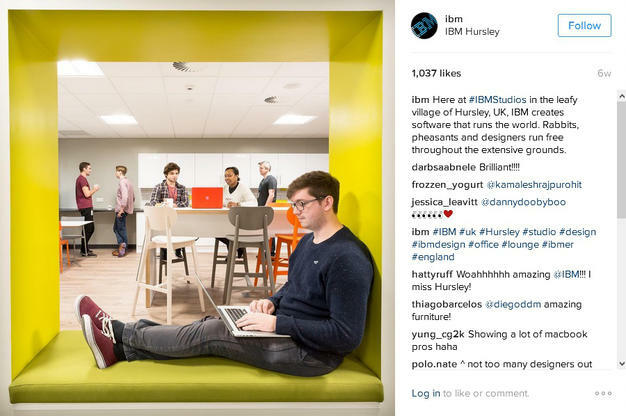 IBM draws attention to their staff with more candid, on the job photos. These casual snapshots help such a big-name brand seem human – of course, technology still included. 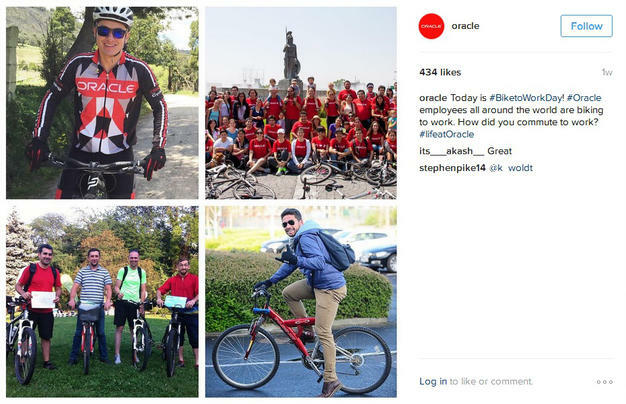 Oracle introduces followers to its workforce by uploading photos from staff outings, many of which include community service projects. 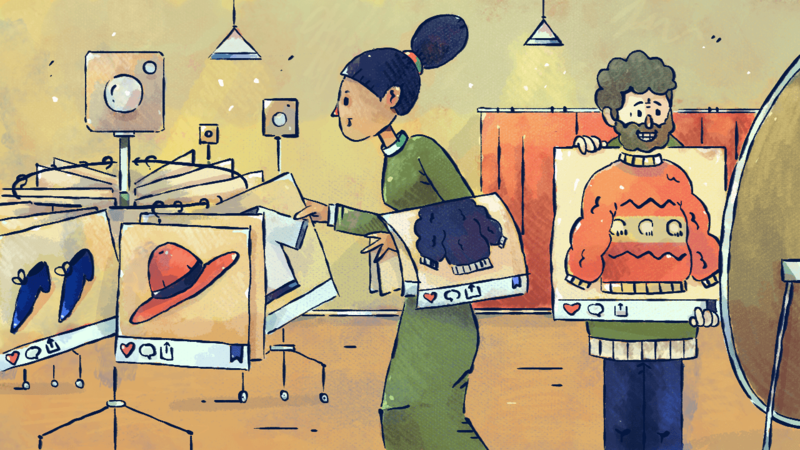 Their volunteer efforts depict a caring company that goes out of their way to help others. 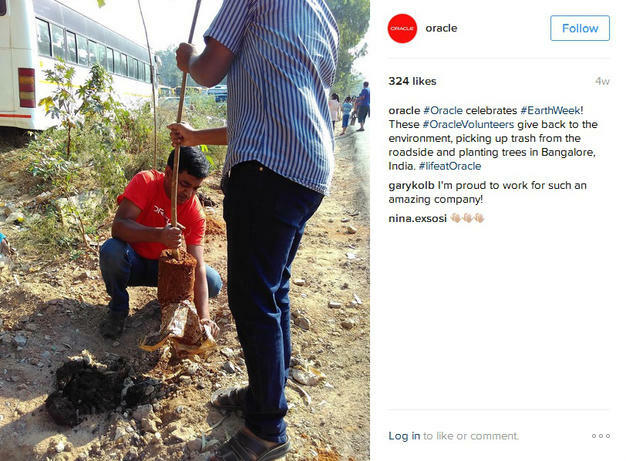 Oracle also takes advantage of current trending hashtags, such as #EarthWeek in order to broaden their reach on Instagram. Using their self-created #lifeatOracle hashtag allows followers to easily discover similar employee activity posts, too. 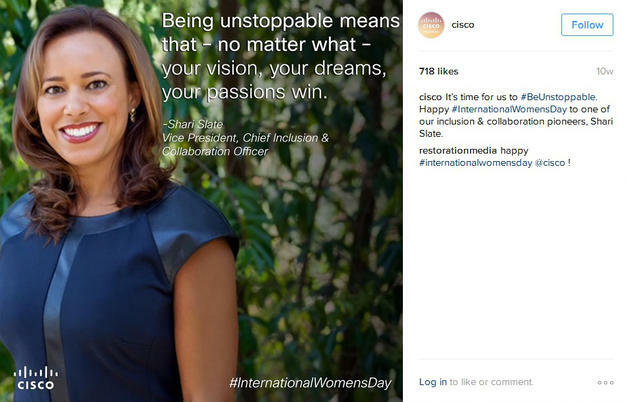 Another company brilliantly utilizing hashtags is Cisco. 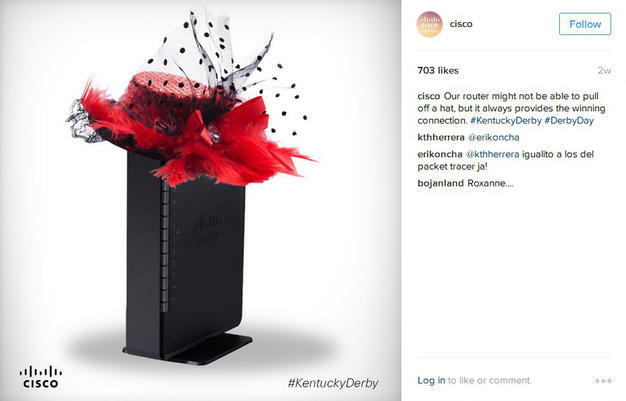 From the Kentucky Derby to International Women’s Day, Cisco creates content that fits in with every occasion – all while promoting their products and team members. 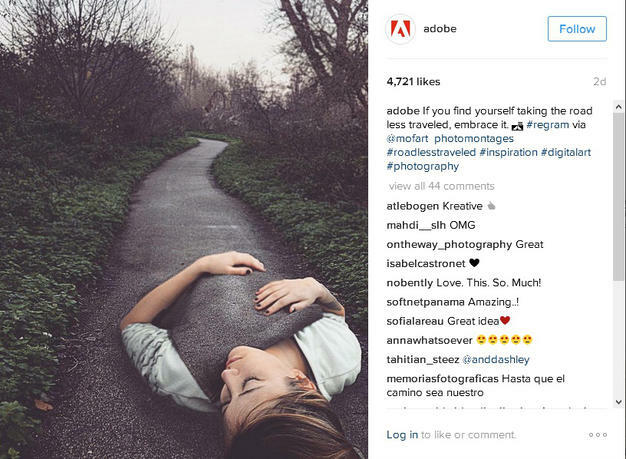 Adobe takes the genius use of hashtags to another level by “regramming” other users’ photos. 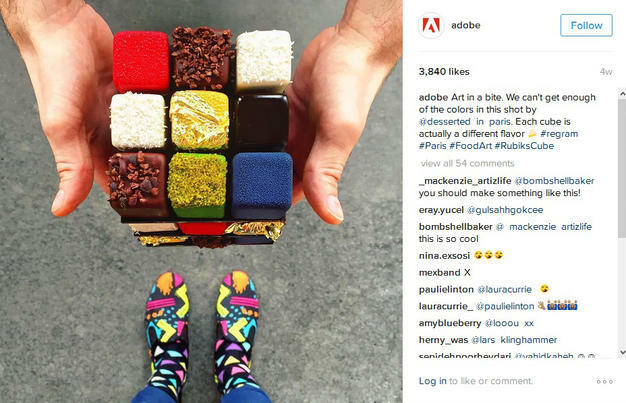 Not only does Adobe use locations and simple phrases like #photography for hashtags, they’re highlighting artists currently using their creative software. This allows Adobe to show the full capacity of their products with little to no work on their end. A+ for effortlessness. 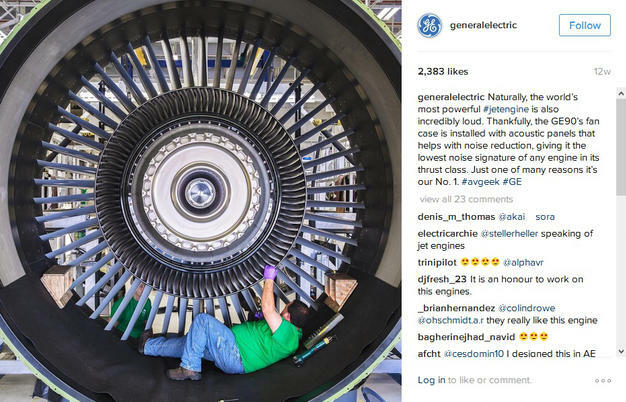 GE combines powerful images with informational captions to establish an overall high-impact Instagram feed that’s pleasing to the eye, as well as the brain. The use of simple hashtags such as #energy ensures their content will be discovered in future search results, too. 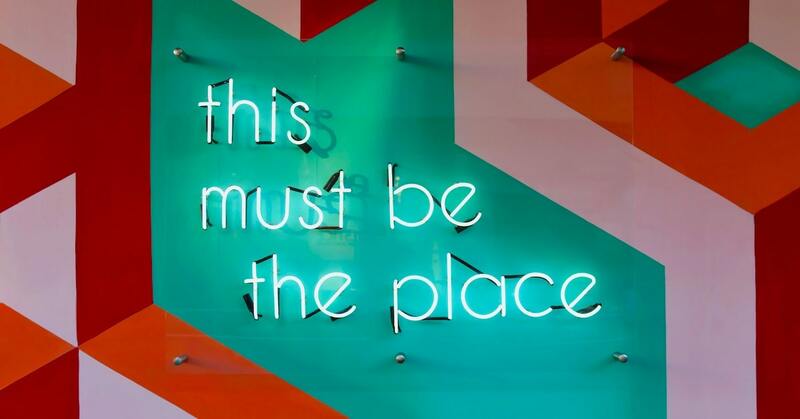 Following suit, CBRE’s feed is full of breath-taking photos. As the world’s largest commercial real estate service, CBRE focuses its Instagram posts on commercial real estate properties across the world. Vivid skylines and intricate architectural details are accompanied by the appropriate location hashtags.